Home remodeling can be a real chore. Even simple fix-it jobs require planning and scheduling, and often a bothersome amount of attention. The inconvenience alone is why many homeowners choose to put off repairs and upgrades for as long as possible. In many cases, prolonging these projects increases financial losses over time. Window replacement is a prime example of a home upgrade that can provide huge savings if tackled sooner, rather than later. Here are five reasons to replace your windows now, as opposed to later. This should really go without saying, but a chief reason to replace your windows right away is because you have a broken window. Insulation issues aside, broken windows are not safe. Glass can chip further, leaving small, almost unnoticeable shards on your floors or countertops. This situation represents a complete safety hazard. Many homeowners decide to initiate the replacement of all their windows once one is broken–a practical plan. Many old windows simply don’t provide enough insulation during the hottest and coldest months of the year. This is a primary concern for homeowners living in harsh climates. Many newer types of windows are highly insulative an energy efficient. Using these products can not only trap heat and air-conditioning within your home—which is exactly where you want it—but they can result in significant energy savings over time. This works hand in hand with your home insulation efforts. The way your windows are installed is every bit as important as the type of windows you choose. Any window that is improperly positioned or wrongly sealed will affect your home’s degree of insulation. When a window is sealed effectively, it will insulate at full capacity. It will protect your home from elemental damage as well. Some newer window products provide ample UV protection. This not only reduces your personal ultraviolet exposure, but protects your floors and home furnishing from fadingand sun damage. Years of continuous sun exposure will increase the maintenance costs of your home’s interior. concern. Double-paned sound proof windows can cut down your noise considerably and encourage a calm domestic atmosphere. Of course, financial and safety concerns aren’t the only reason to replace your windows. If you are already planning a large scale remodel, it can make perfect sense to attack the window issue right away. Larger or customized window schemes can enhance the beauty of your home, while increasing its illumination. Windy City Construction and Design boasts years of experience when it comes to designing and replacing windows. So, why wait? Call us for your free in-home consultation. Looking for a window or siding installer in a specific city? WindyCity servces Chicago and all the suburbs, here is our service list. 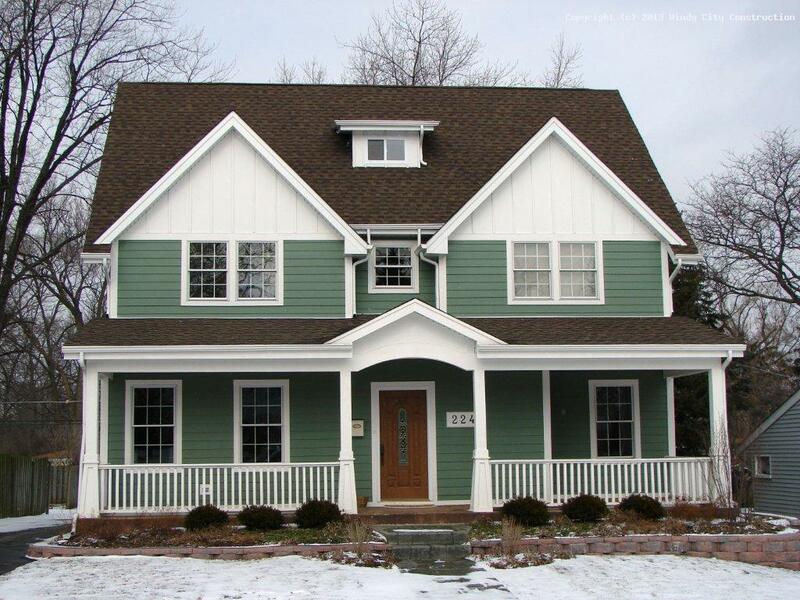 Siding adds an aesthetic quality to the curb appeal and value to a home. It also reduces maintenance costs during the life of the home. But improperly installed siding can be a potential disaster waiting to happen to your home and pocketbook. While installing siding on your own sounds like an easy, weekend project there’s a lot more involved than simply nailing siding over a preexisting exterior. 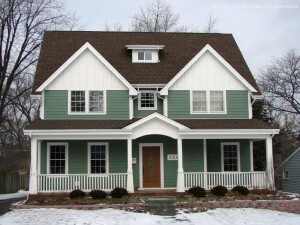 Choosing siding that is right for your home is often confusing. Today, a wide range of sidings are available to give a unique sense of beauty. Cement fiber, vinyl, and wood are among most popular home siding choices. All come with different installation requirements, prices, maintenance needs, and labor costs. Homeowners risk making expensive mistakes when confronted with so many siding choices and installation options. Do-it-yourself siding installations sound easy and money-saving, but unnecessary expenses often occur when the homeowner isn’t aware of the special requirements for installing various siding materials. A siding estimate from a siding installation company greatly reduces the drain on the homeowner’s budget by taking potential, unforeseen circumstances into account. In the long run, a qualified siding professional saves the homeowner money by understanding all aspects of the job. They have the knowledge and skills to work with various siding types, and know how to anticipate the potential problems unique to each material. Matters a bit more tedious, like paperwork, are also taken care of. WindyCity Constrution & Design qualified siding professional stays informed of changes in building codes, they know how and when to pull the appropriate building permits. Siding installations involve more than just putting siding on. Qualified siding installation companies not only apply siding in a way that adds beauty to the home, but are knowledgeable about other construction applications. This may include a tear-off of preexisting siding, making sure the installation is waterproof, moving windows, and trimming around other egresses to provide a consistent and beautiful installation. Also, siding installation companies have access to the latest equipment and techniques which also saves the homeowner labor costs. 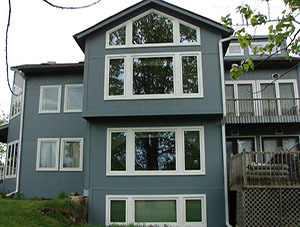 Many homeowners choose to have additional work done during a siding installation. Windy City Construction & Design installation company can accommodate those requests. 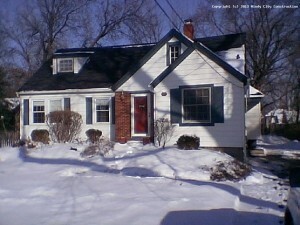 Then, any other additional remodeling work will integrate beautifully with the new siding. Improperly installed siding causes leaks and other problems. Those problems are far easier to prevent during the installation process, rather than trying to repair later. Knowledge of all these aspects of home siding and installation ultimately provides the homeowner with a reasonable time frame for completion. You get to enjoy the new look of your home faster than if you attempted the job yourself, without the burden of unanticipated costs, aggravating delays, or expensive mistakes. 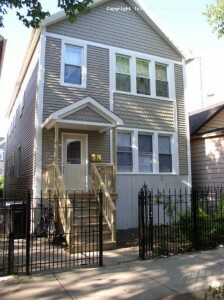 Windy City Construction & Design siding installers are bonded, licensed, and insured to protect you and your property. A self-installation doesn’t provide the guarantee of quality work. Upon completion of a siding installation, the Windy City makes sure that debris, nails, and hazardous materials are cleaned up properly and safely disposed of. The homeowner is also left with a warranty, and maintenance tips, to help their new siding installation stay beautiful for years to come. Feel free to read our Three Advantages of Hiring a Window Replacement Company to find more information. 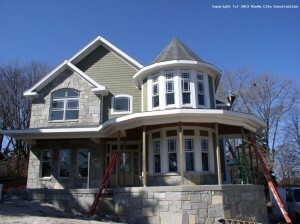 WindyCity Construction & Design services Chicago and all the suburbs, here is our service list. 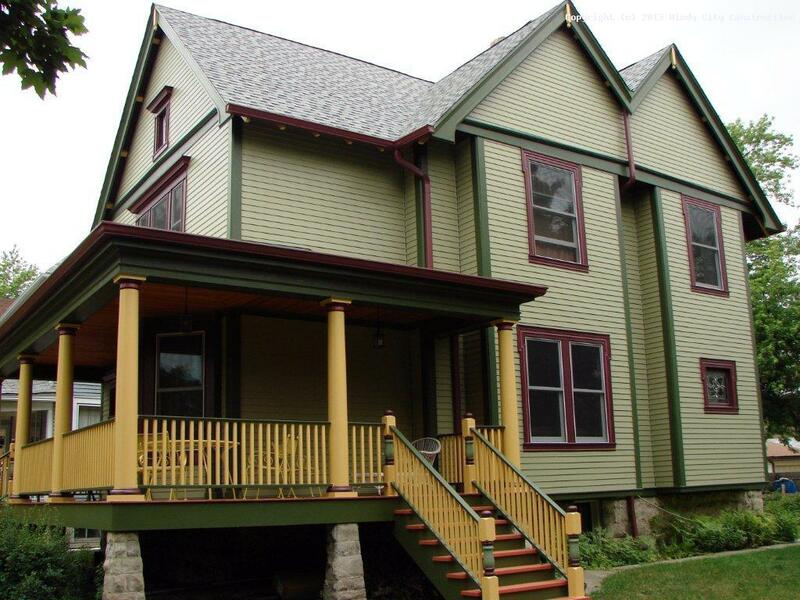 New siding can transform the entire look of a home, and protects the structure of a home from the outside elements. When considering the options, the choices can seem endless. 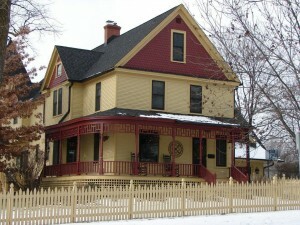 Siding is available in dozens of styles and materials. However, there are some choices that stand out and most are traditional siding materials, but they all differ in what they are made of and their physical properties. There are some characteristics that all suitable sidings contain. They have to be durable, impervious and easy to install. Vinyl, wood and cement board are the most common choices. They all have good characteristics and some have significant drawbacks, especially when those common characteristics fail. 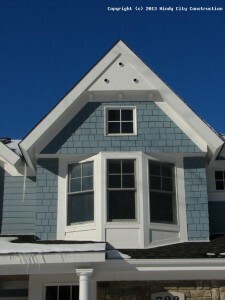 Vinyl is a siding that can be installed over pre-existing siding. It is durable, and the color is manufactured throughout the product. This means that if the product is breached in some way, the color will not be compromised. It is a light product and is made to mimic a wood grain. However, the wood grain is not realistic and is more decorative in nature. Some vinyl siding products mimic other forms of wood siding well like cedar shingle siding. Because of its light weight properties and ease of handling, it is cheaper to install and does not require painting. However, it is degraded easily by the sun and other natural elements, and after this decay; the product becomes fragile and prone to breakage. Wood is a good siding material for the same reasons that it is suitable as other building material. It can be worked easy, and it is the look that most other sidings mimic. 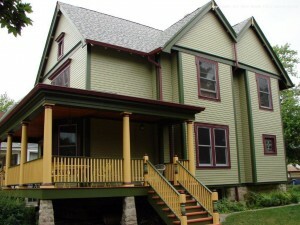 It is used to manufacture many types of siding like clapboard and cedar shingle. The method used to grow wood, in some cases, makes it sustainable. However, wood has to be treated after installation to prevent deterioration from natural degradation. This protection is most often paint, but staining is employed in some cases, and these finishes will have to be replenished periodically. Fiber Cement Board is made from concrete and industrial fibers including wood. It mimics several styles of wood siding and it mimics it very well. It is not as easy to work with as wood, but it lasts much longer with less maintenance. It also has to be treated after installation, but it takes painting really well, and when painted, it looks exactly like wood. It also come pre painted in some cases. Because of its weight and fragility before it is installed, it costs more for installation than wood, but it does not rot, it is mildew resistant and lasts indefinitely with proper care. It has become the most used siding material other than wood. Because of its longevity, fiber cement board is considered sustainable. Self-sufficiency is a definite virtue, but unless you have vast experience in the area of window replacement, this is likely a job best left to professionals. Window replacement represents one of the more dangerous areas of home repairs and it should always be done in a highly efficient manner. One of the obvious reasons why window replacement is best done by professionals is that you will be dealing with glass—often large sheets of glass. Unless you are highly-skilled in this area, the ways a window replacement job can go wrong are legion. This is especially true if your window replacement involves ladders and windows on multiple stories. Replacing windows is definitely not a learn-as-you-go process. It requires experience, attention to detail, and a well-planned effort to ensure the safety of all those involved. Efficiency is vital when it comes to replacing windows, because it is extremely easy to botch this task. Your replacement job needs to ensure that the windows are perfectly level, flawlessly sealed, well-trimmed and more. An inefficient job will result in future water leakage or insulation issues. The latter will affect your energy bills, the former can result in thousands of dollars of elemental damage. Another issue to consider in the area of efficiency is building and construction codes. These are constantly changing, and they may have changed in your area. An experienced contractor will be aware of these code changes. Replacing windows that are done in a manner or with materials that do not meet the local building requirements can result in fines, not to mention the demolition of all your hard work. A reliable and honest contractor will not use a consultation to impress whimsical plans upon homeowners. This meeting should be an upfront discussion of the job and the budget considerations in order to make your window replacement as simple and fuss-free as possible. This is the Windy City Construction & Design promise! Feel free to read our Three Advantages of Hiring a Siding Installation Company to find more information. Siding options have truly increased over the last decades, but the reasons behind a homeowner’s choice of siding typically haven’t. Balancing one’s budget against the terms for siding maintenance and installation are usually the main concerns for this decision. It is, however, a tight-rope walk when weighing the best performing product against the financial cost because some of the more expensive varieties of siding often offer the lowest maintenance cost, making them the more fiscally sound option for the long run. Each of these offers its own distinct advantages over the others, but some truly have more cons per comparison. Vinyl siding is huge in the siding market. This is because the product is durable, is offered in a wide array of colors, and, for the majority homeowners, it is one of the most affordable options. Insects don’t particularly care for synthetic vinyl and it is a fairly tough material. Not all vinyl is the same, however. Insulated vinyl is the more cost-heavy choice. You’ll also need to note that, durable as it is, vinyl can crack and dent when exposed to harsh elements. Depending on the coating used, its color can also fade over time. It isn’t that there is a tremendous amount of maintenance involved in vinyl siding, but there are options that require less. Also, vinyl siding is not a green product. Its emissions include toxic compounds which, combined with its frank inability to biodegrade in landfills, makes it an ecological disappointment. Wood siding offers two options. 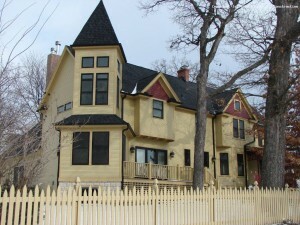 The first is the traditional wood siding that looks genuine and magnificently traditional. The second is the newer variety of engineered wood that pretty much looks the part, but without half the maintenance—and this is truly wood’s major disadvantage. Traditional wood siding is rustically glorious and sturdy, but it requires major maintenance. Moisture and pests are amongst its main weaknesses. Warping, denting, and a penchant for fungal activity make wood a more difficult product to deal with. Engineered wood is nearly as durable as fiber cement, and its not-quite-the-real-deal appeal makes it less expensive than traditional wood. Engineered wood is also highly eco-friendly, but it is a relatively new product. This means it hasn’t been scrutinized through long-term study when it comes to durability. The claim is that it can hold up through harsh weather, but it has exhibited instability where moisture is concerned. Of the three most popular types of siding material, fiber cement tends to be the emperor of resilience. Although its higher price tag poses a definite disadvantage, it presents the least amount of maintenance. It is mold, pest, weather and sun resistant. 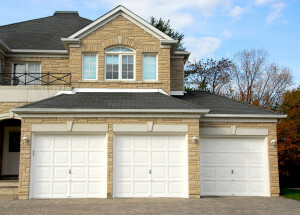 Homeowners need to be particularly careful regarding the installation of fiber cement siding. Whereas many forms of wood and vinyl siding are very user-friendly, fiber cement is not and requires specific installation in order to glean its advantages. For this reason, many personal home construction efforts involving fiber cement result in an inferior installation. Unless you are aiming for an aesthetically specialized effect, your siding material decision will come down to a choice between paying more up front and incurring less annoyance in the future, or budgeting now, but expecting long term surprises. In the case of certain wood varieties, you may enjoy paying a great deal at the beginning and at the end, because the perks of authenticity don’t always include reliability. This is why the siding battle often boils down to vinyl versus fiber cement, a true comparison between cost and maintenance. Unless you already have the gift of being handy, then you dread when something breaks or needs repairing at home. The last thing you want to do is spend money and call a professional to come out a fix it. So if you do not have to, then don’t! If you have a broken window or it just needs a little bit of fixing, there are great tools out there to go ahead and fix the window by yourself for a very little cost. No need to spend loads of money if you do not have to. Plus, if your window is broken, you do not want to have to wait for a professional to come out by appointment. You would not want your window to be broken during night time, letting insects inside your clean home, bringing snow inside the house, making the inside of your house freezing, access for strangers to come inside your home, or many other unwanted situations. A good professional would tell you this even if they are losing a customer due to the fact that they do not have to come fix it. 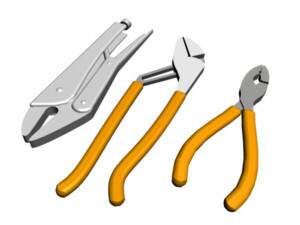 To be able to repair your windows at home, all you will need is some good tools and there are excellent ones out there that are very simple and easy to handle. If your window glass in broken, you are in luck because this is one of the easiest things to fix. The first thing you will need to do is buy replacement glass. If it is not the window glass that is broken, it may be a broken screen. In this case, you will need some different tools to repair this. The following are all of the tools you will need to fix a broken screen at home without a professional. If you have a aluminum frame screen instead of a wood frame, you will need slightly different tools in order to repair this problem. In this event, here are all of the tools to fix that type of screen. As you can see, the tools that you need for all types of window repairs are very simple and easy to find. They can all be found at any hardware store for very reasonable prices. As long as you have all of these great tools for your specific situation, you should be able to tackle your window repair without any worries. Sometimes, depending on the case you will need to hire a professional company that specializes in windows repairs and replacement. 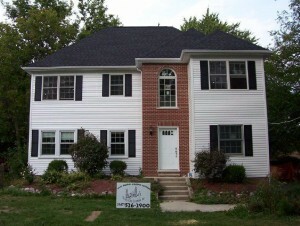 WindyCity Construction & Design offers a free consultation so don’t hesitate to ask! Window replacement is something that may need to be done after a period of years. Window replacement almost always requires removal of old window and frame. Once window and frame is removed the new window and frame is installed. There are common signs that tell a homeowner that window replacement may be required. First, when windows are worn you may be able to feel air coming in from the outside. Therefore, you may feel air from the outside entering through the sides as well as the front part of the window. When windows need to be replaced they no longer provide the protection and installation that is required to keep the home warm. Once windows no longer insulate the home from the cold it may be necessary to turn the heat up in an attempt to keep the interior of the home warm. Therefore, you may find that your electric bill is somewhat higher due to the fact that window replacement may be necessary. When replacement of windows is required you may also find that the windows are difficult to open or they may frequently get stuck. In addition, over a period of time windows may naturally begin to look aged and they lose their original appeal. It is quite simple to identify a new window from an old one. Another sure sign that windows may need to be replaced is when the window frames begin to break and and rot. Broken window frames are not only unattractive but they allow both warm and cold air from the outside to enter the interior of the home. Outside air can have a significant impact on the temperature within the home weather it is warm or cool outdoors. The majority of modern windows are made from aluminum therefore, when the aluminum on and around the window begins to bend or break apart this is a sign that the windows may need to be replaced. In addition, the glass contained within a window may become loose and even break when the window becomes old and weather-beaten. During the cold winter months if you notice an unusual amount of frost on the windows this may also be a sure sign you need new windows. Also, if you touch the window and it feels extremely cold to the touch then more than likely you need to begin shopping for new windows. During the warm months of summer if you touch the window glass and notice that it is hot then this too can be a good indicator that you need new windows. New windows are normally moderately cool almost all of the time. New windows should not become too hot or too cold no matter what the temperature outside may be. Even if your windows appear to stand the test of time with no visible breakage or damage; it still may be time to invest in some new windows. 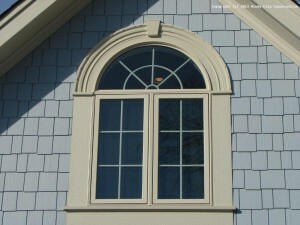 Window styles are changing from time to time and it may be that your present windows are old or outdated. There are many signs that you can look for that can tell you it may be time to replace windows. When it is time to replace windows you have an opportunity to shop around and find the best possible price on new windows for the home. Renovations and construction work often translate into chaos for homeowners. So much unpredictability can overtake even the simplest of project. For this reason, choosing a reliable contractor may save you a tremendous amount of trouble when it comes to the timing and the quality of your home construction. 1. Does he show up to your interview on time? If a contractor schedules your initial consultation between the hours of 1pm and 3pm and arrives later than the stipulated time, it is frequently an indication of how smoothly your project will go. Top notch contractors are able to foresee potential problems with a job and factor those problems into their overall schedule. Showing up late from the get-go is a very bad sign. It indicates that this contractor is a poor planner, and it may also foreshadow a construction job that features many overlooked errors and negative surprises. 2. Is your siding contractor overly confident? A good contractor will never glance at your home and assume the job is perfectly straight-forward—especially when it comes to siding. Construction jobs frequently go awry when a contractor and his workers don’t carefully inspect the particulars of your home. He should be able to answer your questions, but also ask you questions regarding the specifications you require and what your primary concerns entail. He should become familiarized with any structural issues related to the job so that these problems don’t arise as time-crunching surprises halfway through the work. Although you can never fully eradicate potential problems, a contractor who takes a decent amount of time to examine the task exhibits the type of care and consideration one desires for the job. Don’t mistake confidence for experience. Careless and undisciplined contracting companies are often masked by straight-shooting confidence, but the reality hits when a siding job takes weeks longer than it should, and results in shoddy construction. 3. Is your contractor familiar with the siding product market? Yes, you want your contractor to be certified by a siding manufacturer. Yes, you want him to know all the ins and outs of the siding products he will be using on your home. However, does he know how these products compare to others on the market? Does he know the varieties that make one product superior to another for specific instances? This is important because you don’t want your siding contractor to choose a product based on his own relationship with the manufacturer. You want your contractor to choose that product because he believes this siding is the preferred one based on his own experiences, which is why he has chosen to form an alliance with the manufacturer. He should be able to answer detailed questions regarding the siding and also inform you as to why some homeowners may have made an alternate decision. 4. Does your contractor have references? References can only tell you so much, but it is always a good sign if your contractor is prepared to give them out without a second thought. It shows that he is willing to make an effort to meet client standards. Good references are a must, though no contractor will list an unsatisfied client as a reference. So, again, references cannot give you the entire picture, but they can show you that your contractor is a capable worker. 5. What is his current project schedule? You may have a flawless, efficient contractor standing right in front of you, but if you don’t inquire as to his current workload, then prepare for a long and winding crawl to the finish line. Contractors often straddle jobs, and each job comes with its own intricate complications. If your home is not the priority, you can end up with a job that takes far too long to finish. Your home may be half done and remain unfinished for needless days or weeks while a contractor scrambles to sew up other projects he had scheduled. Choosing a siding contractor—or any contractor—can be a gamble. Even if your friends and acquaintances have had tremendous successes with a certain contractor, the specifics of your job or changes in his current work schedule can alter the mood and flow of the task. However, the first preventative measure you can take against a disastrous outcome is to monitor the timeliness and interest level of your contractor during your initial consultation. Confidence in your contractor’s skill and ethics will help to avoid any potential surprises that occur on the job, and this confidence will arise through observation and careful inquiry. Do you need a siding contractor? Oftentimes, the distinctions between HardieBacker and Durock boards filter down to a matter of contractor preference. A contractor may have become accustomed from the start to using one product over the other, and that familiarity results in product bias. Occasionally, a shoddy installation process will also influence the views of a contractor who, upon viewing the poor results, may blame the product rather than the installation. It should be noted early on that HardieBacker and Durock are different products, which are often used for the same work. These differences are not necessarily subtle either. There are a few key distinctions that put HardieBacker board in a different realm than Durock. It should be noted from the beginning that HardieBacker is intended and approved only for internal use. Durock can be utilized for both internal and external jobs. Durock is a sturdy reliable cement product, but it does contain glass mesh and it is the heavier of the two materials. This boils down to a difficult and more unwieldy product. You will have a harder time cutting Durock board, and the installation process will be messier because of the breakdown. Expect particulate during cutting and smoothing. HardieBacker is currently the best selling and lightest brand of cement board available. It cuts far more cleanly because it is not a glass cement aggregate. Its fiber cement composite allows for a smooth precise job with minimal mess. HardieBacker board offers its own patented EZ Grid pattern that takes the guesswork out of cutting and installation—another additional bonus. The fiber cement makeup of HardieBacker board also leads to two other key advantages: flexibility and strength. HardieBacker is lighter and more flexible than Durock boards. This not only reduces the messiness of the product, but also contributes to the inborn strength of the board. These features make for an easier, more efficient installation without any sacrifice to the product’s integrity. HardieBacker board is definitely the go-to choice when it comes to tiling and counter tops. The Durock board is abrasive and can damage certain surfaces—particularly porcelain, vinyl, and enamel–whereas HardieBacker does not contain any abrasive materials and is, therefore, the preferable board for underlaying. In fact, HardieBacker’s warranty extends over the use of vinyl tile applications, a guarantee that Durock cannot boast. Areas that may or will become exposed to moisture remain the tricky issue for HardieBacker boards. HardieBacker’s cement and fiber composition makes it a water-repellent material, which is different from a “waterproof” claim. HardieBacker is also highly mold resistant. This means that the product can be used to underlay showers and tubs and bathroom areas, much like Durock. However, it may be advisable to apply a waterproof membrane over the HardieBacker to ensure the most sanitary and effective installation possible. Both Durock and James Hardie are very reliable companies, but James Hardie still maintains the sales edge. HardieBacker remains the best-selling board and is insured with a lifetime limited/transferable warranty. To make the most of your James Hardie products, it is always advisable to employ a certified James Hardie contractor. This is because the warranty for James Hardie products depends largely on a proper installation. The company cannot be held responsible for construction damage which is the not the fault of HardieBacker material but that of poor application. Remodeling a home by changing out the siding is a fairly common procedure for homeowners who want to improve their houses. However, rather than using treated wood or even vinyl siding, James Hardie fiber cement siding is quickly becoming the material of choice. For homeowners in the Glenview area who want a reliable, professional company to install their cement siding Windy City Construction & Design is the company to turn to in order to get the job done right the first time. Windy City was one of the first installation companies in the Chicagoland area to receive Preferred Remodeler status with the James Hardie company regarding its product. The company has done everything in its power to maintain its lead over the competition, and it has managed to increase its quality and service professionalism through years of repeated practice and training. By holding itself to a higher standard this company ensures that its customers are always happy, and that their reputation only grows larger among homeowners. What Makes James Hardie Fiber Cement Siding so Special? One reason that Windy City has kept itself to rigidly trained and so professionally skilled at installing this particular material is that it is still growing in popularity among homeowners. This cement siding is made from sand, cement and cellulose fibers, all mixed together and then shaped into siding that can be made to resemble a variety of different materials. This composite material is resistant to the sun and wind, as well as to heat, cold, snow, rain, and practically anything else that the elements can throw at a house. That’s why this siding has jumped so far ahead of other, similar materials; once it’s in place it can last for years while resisting everything from freezing temperatures to the march of insects and everything in between. While this material is highly durable, fiber cement siding from James Hardie is only as good as its installers. If the boards aren’t put on according to the best, professional standards then they’ll let in heat and cold, as well as moisture and debris. This can damage a house’s interior if it goes uncorrected, and worse it will then take time and effort to fix both the interior, as well as the exterior. That’s what makes Windy City Construction & Design a name to remember for homeowners who want to get the job done right the first time. It’s a company that has earned praise from the material’s manufacturer, and it has made certain to maintain its standards of excellence and professionalism. While there are a lot of companies who can install this product, none of them can match the quality and experience that Windy City offers.